The beautiful bright box doesn't indicate a definite manufacturer, - the only thing it says is "Made in Taiwan". At Vosonic's site I accidently came across a similar device with the identical name. 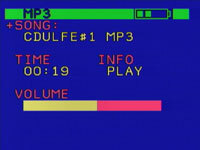 Built-in hard drive (optional) 2.5"
The player works from the power supply unit or battery which works up to 2.5 hours. 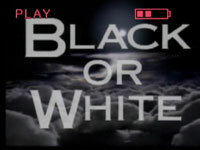 When switched on, the player lets you choose a storage device if flash cards are inserted. If they are not, you automatically get to the hard drive. Note that the device falls into the sleep mode in a certain period of time which can't be changed (the display shows nothing in this mode though the backlight still works). 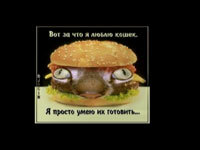 That's the first problem. 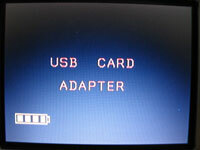 The display has few colors and a too narrow viewing angle. You can hook up the player to a TV box to watch pictures on its screen, but the display doesn't turn off in this case and the battery keeps on discharging... That's one more problem. 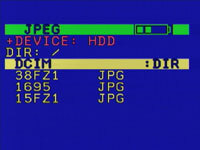 Do all cameras make pictures in JPEG? All! But some also support TIFF, and some devices can even reproduce TIFF pictures. They can even edit file names. It depends just on a firmware version, doesn't it? Why wouldn't they add it? They could have written a program of any size on the hard drive. By the way, you can't delete files from the hard drive without a PC. However, there's a slideshow mode, though the interval can't be changed. It takes 5 sec to load a photo, then 1 sec to admire it and then it starts anew. You are not tired yet, aren't you? This gadget can do a lot of other interesting things... Let's have a look at them! 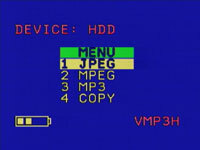 Can you convert files from multiple kinds of the MPEG4 format into MPEG1? With this device you will have to learn it. 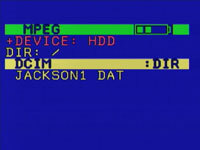 I found several discs recorded yet in 1998 and also played some Michael Jackson's clips. Well, it sounds nice, you can even accelerate playback. Ooops.. it starts stummering... Well, sometimes it happens. The playback quality can be estimated as good. No tags, no cyrrilic names, no long names, no playlist, no random play, no track searching. Well, you can adjust volume and even start the next composition in the folder. Pause and replayed playback are also supported. 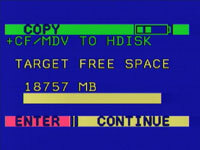 You can copy data from a card to the hard drive and from one card to another. 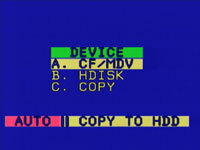 No additional folders are created when you copy data, that is why a file with the same name can be only replaced. So, it's better to use the automatic copying mode (press Auto button when the player switches on) than to use this menu item. In this case a new numbered folder will be created and card's contents will be transferred without touching other files. Attention! This important fact is not mentioned in the documentation! The copy speed of the CompactFlash is ok: it makes 3.2 MB/s for fast cards and about 2 MB/s for ordinary ones. It's a good score! But the device copies from MMC and SD cards only at 35 kilobytes per second at best! Plus, it's impossible to cancel copying, only when the battery runs out of charge it stops all processes and turns off the system. The connector on the device is unusual; beware - if you lose the cable, it might be a problem to find a new one. The device gets automatically detected and needs no drivers under the Windows XP like most modern devices that use removable storage units. On its connection you get an additional hard drive and two removable ones for each memory card slot. Thanks to the support of the ultramodern standard USB1.1, alias USB Full Speed, the data rate reaches 700 KB/s. To fill up the hard drive you will need.. well, you will have enough time to have your sleep out. 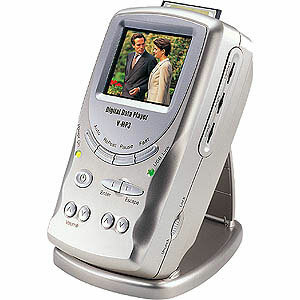 The only problem set for developers of this device was to write in big letters the words "VIDEO, MP3 and Digital Photo" next to the pricetag. Well, there is no to find fault with. 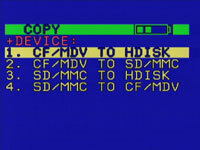 There is only one well realized function - automatic copying from CompactFlash cards. But it's desirable in this case to charge the player from the supply power unit instead of batteries to be sure the process won't stop.